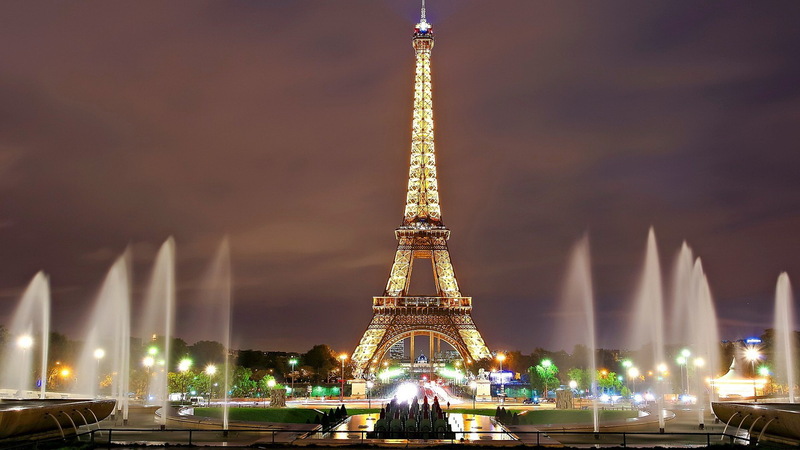 "Paris is the capital and the most populous city of France. It has an area of 105 square kilometres (41 square miles) and a population in 2013 of 2,229,621 within the administrative limits. The city is both a commune and department, and forms the centre and headquarters of the Île-de-France, or Paris Region, which has an area of 12,012 square kilometres (4,638 square miles) and a population in 2014 of 12,005,077, comprising 18.2 percent of the population of France. The agglomeration has grown well beyond the city's administrative limits. The Paris unité urbaine is a measure of continuous urban area for statistical purposes, including both the commune and its suburbs, and has a population of 10,601,122 (Jan. 2013 census) which makes it the largest in the European Union. The aire urbaine de Paris, a measure of metropolitan area, spans most of the Île-de-France region and has a population of 12,405,426 (Jan. 2013 census), constituting one-fifth of the population of France. The Metropole of Grand Paris was created in 2016, combining the commune and its nearest suburbs into a single area for economic and environmental co-operation. Grand Paris covers 814 square kilometres (314 square miles) and has a population of 6.945 million persons. Paris was founded in the 3rd century BC by a Celtic people called the Parisii, who gave the city its name. By the 12th century, it was the largest city in the western world, a prosperous trading centre, and the home of the University of Paris, one of the oldest universities in history. By the 17th century Paris was one of Europe's major centres of finance, commerce, fashion, science, and the arts, and it retains that position still today. The Paris Region had a GDP of €624 billion (US $687 billion) in 2012, accounting for 30.0 percent of the GDP of France, and ranking it as one of the wealthiest regions in Europe; it is the banking and financial centre of France, and contains the headquarters of 29 of the 31 French companies ranked in the 2015 Fortune Global 500. The city is also a major rail, highway, and air-transport hub, served by the two international airports Paris-Charles de Gaulle (the second busiest airport in Europe after London Heathrow Airport with 63.8 million passengers in 2014) and Paris-Orly. Opened in 1900, the city's subway system, the Paris Métro, serves 5.23 million passengers daily. It is the second busiest metro system in Europe after Moscow Metro. Paris is the hub of the national road network and is surrounded by three orbital roads: the Périphérique, the A86 motorway, and the Francilienne motorway. Among Paris's important museums and cultural institutions are the most visited art museum in the world, the Louvre, as well as the Musée d'Orsay, noted for its collection of French Impressionist art, and the Musée National d'Art Moderne in the Pompidou Centre, the largest collection of modern and contemporary art in Europe. The central area of the city along the Seine River is classified as a UNESCO Heritage Site, and includes many notable monuments, including Notre Dame Cathedral (12th century to 13th century ); the Sainte-Chapelle (13th century); the Eiffel Tower (1889); the Grand Palais and Petit Palais (1900); and the Basilica of Sacré-Cœur on Montmartre (1914). In 2015 Paris received 22.2 million visitors, making it one of the world's top tourist destinations. and is also known for its fashion, particularly the twice-yearly Paris Fashion Week, and for its haute cuisine, and three-star restaurants. Most of France's major universities and grandes écoles are located in Paris, as are France's major newspapers, including Le Monde, Le Figaro, and Libération. The association football club Paris Saint-Germain and the rugby union club Stade Français are based in Paris. The 80,000-seat Stade de France, built for the 1998 FIFA World Cup, is located just north of the Paris in the neighbouring commune of Saint-Denis. Paris hosts the annual French Open Grand Slam tennis tournament on the red clay of Roland Garros. Paris hosted the 1900 and 1924 Summer Olympics and is bidding to host the 2024 Summer Olympics and thus become the second city to have hosted the Games three times. The 1938 and 1998 FIFA World Cups, the 2007 Rugby World Cup and UEFA Euro 2016 were also held in the city, and every July, the Tour de France of cycling finishes in the city." The Métropole du Grand Paris, or Metropolis of Greater Paris, formally came into existence on January 1, 2016. It is an administrative structure for co-operation between the City of Paris and its nearest suburbs. It includes the City of Paris, plus the communes, or towns of the three departments of the inner suburbs; Hauts-de-Seine, Seine-Saint-Denis and Val-de-Marne; plus seven communes in the outer suburbs, including Argenteuil in Val d'Oise and Paray-Vieille-Poste in Essonne, which were added to include the major airports of Paris. The Metropole covers 814 square kilometres (314 square miles) and has a population of 6.945 million persons. The new structure is administered by a Metropolitan Council of 210 members, not directly elected, but chosen by the councils of the member Communes. 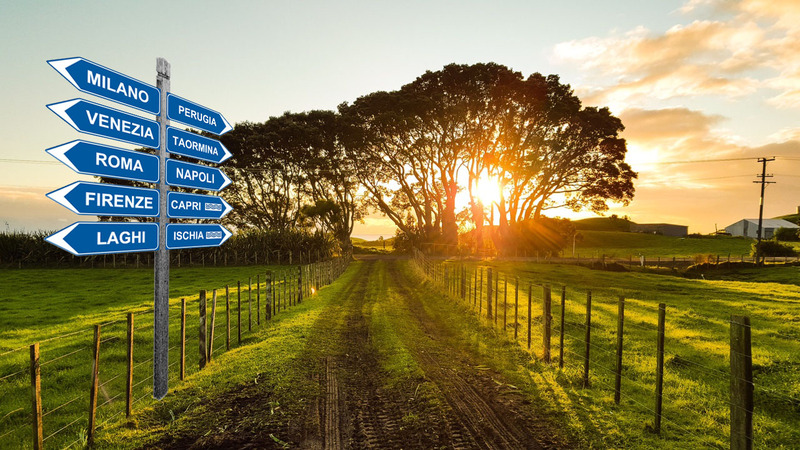 By 2020 its basic competencies will include urban planning, housing, and protection of the environment. The first president of the metropolitan council, Patrick Ollier, a Republican and the mayor of the town of Rueil-Malmaison, was elected on January 22, 2016. Though the Metropole has a population of nearly seven million persons and accounts for 25 percent of the GDP of France, it has a very small budget; just 65 million Euros, compared with eight billion Euros for the City of Paris." "Grand Paris (the City plus three surrounding departments) received 22.2 million visitors in 2015 measured by hotel stays, a decrease of 1.1 percent from 2014, due to two series of deadly terrorist attacks. The largest numbers of foreign tourists in 2015, measured by airport arrivals, came from the United States (1.8 million, down by 3.6 percent from 2014); the UK (1.08 million), Germany (725,000), Italy (622,000), and Spain (609,000). Arrivals from Russia (211,000) dropped 37 percent from 2014. Arrivals from the rest of the Europe numbered 1 million, down 4.9 percent from 2014. 746,00 Visitors came from China, an increase of 40 percent from 2015; 481,000 came from Japan, a drop of 23 percent from 2015. Arrivals from the Near and Middle East numbered 535,000 an increase of 0.7 percent. Arrivals from the Americas outside the US numbered 910,000; down 4.9 percent from 2014; 395,000 arrived from Africa, up 6.5 percent from 2014; and 1,065,000 from Asia and Oceania excluding China and Japan, an increase of 14.6 percent over 2014. In 2015, measured by the MasterCard Global Cities Destination Index, Paris was the third busiest airline destination in the world, with 16.06 million visitors, behind London (18.8 million) and Bangkok (18.24 million). 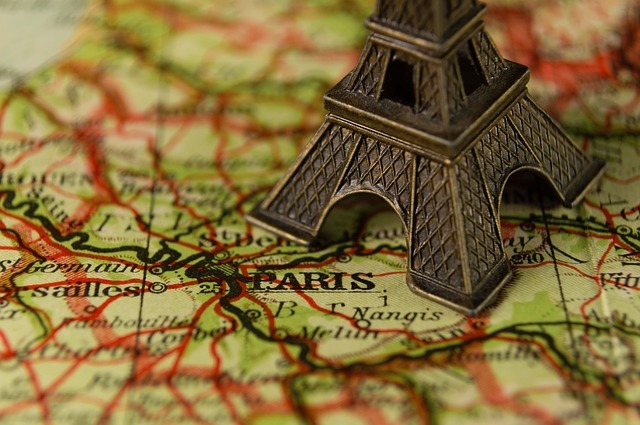 According to the Paris Convention and Visitors Bureau, 393,008 workers in Grand Paris, or 12.4 percent of the total workforce, are engaged in tourism-related sectors; hotels, catering, transport and leisure." There were 74.7 million visitors to the city's museums and monuments in 2015, a drop of 7.2 percent from 2014 due to highly publicised terrorist attacks. The city's top tourist attraction was the Notre Dame Cathedral, which welcomed 13.6 million visitors in 2015. The Louvre museum had 8.4 million visitors in 2015, making it the most visited museum in the world. The other top cultural attractions in Paris in 2015 were the Basilique du Sacré-Cœur (10 million visitors); the Eiffel Tower (6.917,000 visitors); the Centre Pompidou (3,060,000 visitors) and Musée d'Orsay (3,439,000 visitors). 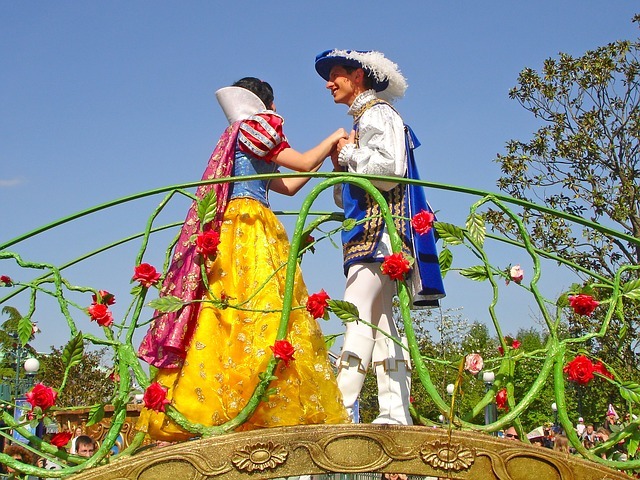 In the Paris region, Disneyland Paris, in Marne-la-Vallée, 32 kilometres (20 miles) east of the centre of Paris, was the most visited tourist attraction in France, with 14.8 million visitors in 2015. The centre of Paris contains the most visited monuments in the city, including the Notre Dame Cathedral and the Louvre as well as the Sainte-Chapelle; Les Invalides, where the tomb of Napoleon is located, and the Eiffel Tower are located on the Left Bank south-west of the centre. 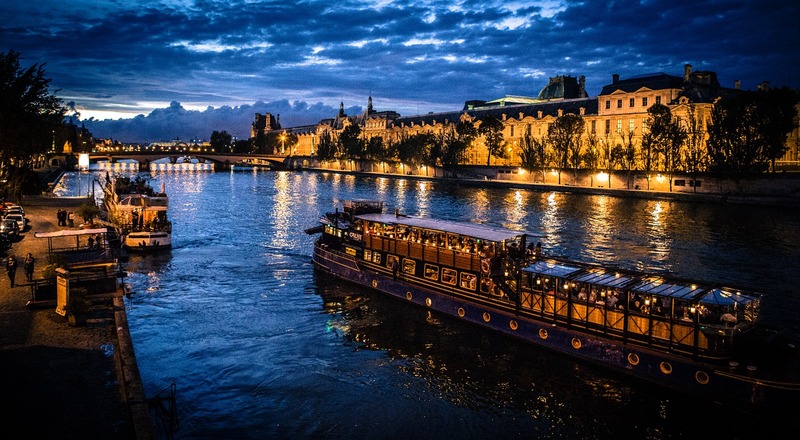 The banks of the Seine from the Pont de Sully to the Pont d'Iéna have been listed as a UNESCO World Heritage Site since 1991. 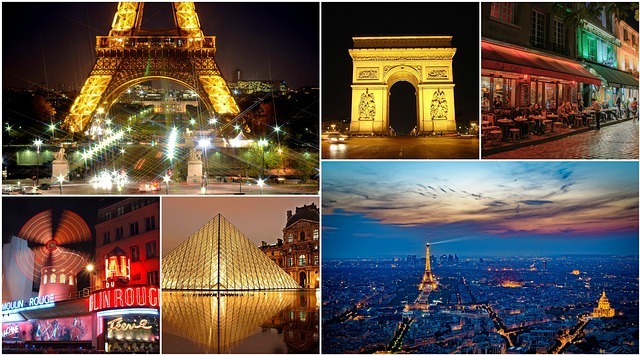 Other landmarks are laid out east to west along the historic axis of Paris, which runs from the Louvre through the Tuileries Garden, the Luxor Column in the Place de la Concorde, the Arc de Triomphe, to the Grande Arche of La Défense. Several other much-visited landmarks are located in the suburbs of the city; the Basilica of St Denis, in Seine-Saint-Denis, is the birthplace of the Gothic style of architecture and the royal necropolis of French kings and queens. The Paris region hosts three other UNESCO Heritage sites: the Palace of Versailles in the west, the Palace of Fontainebleau in the south and the medieval fairs site of Provins in the east. As of 2013 the City of Paris had 1,570 hotels with 70,034 rooms, of which 55 were rated five-star, mostly belonging to international chains and mostly located close to the centre and the Champs-Élysées. Paris has long been famous for its grand hotels. The Hotel Meurice, opened for British travellers in 1817, was one of the first luxury hotels in Paris. The arrival of the railways and the Paris Exposition of 1855 brought the first flood of tourists and the first modern grand hotels; the Hôtel du Louvre (now an antiques marketplace) in 1855; the Grand Hotel (now the Intercontinental LeGrand) in 1862; and the Hôtel Continental in 1878. The Hôtel Ritz on Place Vendôme opened in 1898, followed by the Hôtel Crillon in an 18th-century building on the Place de la Concorde in 1909; the Hotel Bristol on rue de Fabourg Saint-Honoré in 1925; and the Hotel George V in 1928." The Louvre was the world's most visited art museum in 2015, with 8.42 million visitors. Its treasures include the Mona Lisa (La Joconde) and the Venus de Milo statue. With 3.44 million visitors, the Musée d'Orsay, in the former Orsay railway station, was the second-most visited museum in the city in 2015; it displays French art of the 19th century, including major collections of the Impressionists and Post-Impressionists. The original building – a railway station – was constructed for the Universal Exhibition of 1900. Starkly apparent with its service-pipe exterior, the Centre Georges Pompidou, the third-most visited art museum in Paris, attracted 3.060 million visitors in 2015. Also known as Beaubourg, it houses the Musée National d'Art Moderne. The Musée national du Moyen Âge, or Cluny Museum, presents Medieval art, including the famous tapestry cycle of The Lady and the Unicorn. The Guimet Museum, or Musée national des arts asiatiques, has one of the largest collections of Asian art in Europe. There are also notable museums devoted to individual artists, including the Picasso Museum the Rodin Museum, and the Musée national Eugène Delacroix. Paris hosts one of the largest science museums in Europe, the Cité des Sciences et de l'Industrie at La Villette, attracted 2 million visitors in 2015, making it the fourth most popular national museum in the city. The National Museum of Natural History, on the Left Bank, attracted 1.88 million visitors in 2015, making it the fifth most popular Parisian national museum. It is famous for its dinosaur artefacts, mineral collections, and its Gallery of Evolution. The military history of France, from the Middle Ages to World War II, is vividly presented by displays at the Musée de l'Armée at Les Invalides, near the tomb of Napoleon. In addition to the national museums, run by the French Ministry of Culture, the City of Paris operates 14 museums, including the Carnavalet Museum on the history of Paris; Musée d'Art Moderne de la Ville de Paris; Palais de Tokyo; the House of Victor Hugo and House of Balzac, and the Catacombs of Paris. There are also notable private museums; The Contemporary Art museum of the Louis Vuitton Foundation, designed by architect Frank Gehry, opened in October 2014 in the Bois de Boulogne. The music hall and cabaret are famous Paris institutions. The Moulin Rouge was opened in 1889. It was highly visible because of its large red imitation windmill on its roof, and became the birthplace of the dance known as the French Cancan. It helped make famous the singers Mistinguett and Édith Piaf and the painter Toulouse-Lautrec, who made posters for the venue. In 1911, the dance hall Olympia Paris invented the grand staircase as a settling for its shows, competing with its great rival, the Folies Bergère, Its stars in the 1920s included the American singer and dancer Josephine Baker. The Casino de Paris presented many famous French singers, including Mistinguett, Maurice Chevalier, and Tino Rossi. Other famous Paris music halls include Le Lido, on the Champs-Élysées, opened in 1946; and the Crazy Horse Saloon, featuring strip-tease, dance and magic, opened in 1951. The Olympia Paris has presented Edith Piaf, Marlene Dietrich, Miles Davis, Judy Garland, and the Grateful Dead. A half dozen music halls exist today in Paris, attended mostly visitors to the city."